Why did I get a low IELTS Writing Band Score? 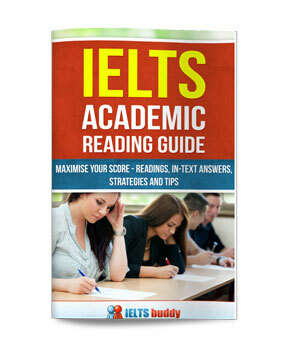 Low IELTS Writing Band Score? 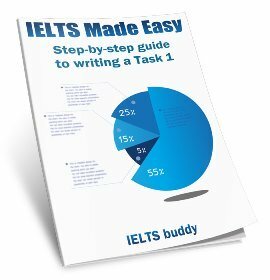 Why did I get an IELTS band 6 for my writing? I'm so puzzled because I did so well in writing, in fact I totally expected it to be the highest mark. I write a lot and I work in an IT company as a support manager, hence, my line of work always requires me to communicate with strangers on daily basis using formal and clean English! Is there a specific reason for this? Or do you think I should submit a remark request? Something surely seems off here! Comments for Low IELTS Writing Band Score? You say you did well in your writing but how do you know? Only an IELTS Examiner or Instructor could really judge that. I do agree from reading your writing in your post that your English seems quite good. But is it possible you misinterpreted the question? If you don't fully answer the question it can bring your score down. This would be nothing to do with your writing style or grammar. Anyway, it is all speculation as we just don't know. Only you can really decide if you should go for a remark. It's just a gamble really. Thank you very much for your prompt reply and for your much appreciated insight. I was also thinking about the possibility that I was penalized for task response. Maybe I have written less than 250 words or that I have not sufficiently addressed the task topic. I cannot be so sure about that because this is my first IELTS exam ever and I only had 2 weeks to prepare for it. I gave ielts twice, I did my best but in my latest result I got higher marks in which I had previously low and vise versa. What should I do next? It's 7.0 band in all aspects of the 4 Parts and 7.5 band in total for International medical graduates. It's really not possible to answer that. You are marked on four criteria so without seeing your writing it's impossible to know on which of those you are having problems. You'd need to get an experienced Ielts instructor to look at some of your writing and telll you where you are gong wrong. It's impossible to tell you what is wrong with your writing without seeing the essay you did or seeing some samples of your writing. You are marked on several criteria over the two tasks so there are many reasons why you could have got a particularly low score. For example you may have misunderstood the essay question and not fully answered the question. In this case you would have been given a low score for Task Response. So if you take it again you may answer it properly and get a much better score. So really it's impossible to know. I have given ielts twice (BC), but I didn't score more than 5 bands at present. I booked my ielts exam on 16th (idp). Could you please tell me how to get 7 bands over all. I am practicing well but I can't cross more than 6 bands, can you please help me. i got my result of ielts and i got L9 R9 S 7 and W 6.5...i dont know why i got 6.5 in writing. My task went well...can anybody advise me what should i do? Should i go for next attempt or go for revaluation? Only you can make that decision. The fact you got 7 in speaking suggests your writing could be correct as they tend to fall around the same area for most candidates. Only go for a remark if you are very sure a mistake as been made and it should be higher. I took my exam today and I feel quite confused. In task 1 (map), I wrote west instead of east. This is my first fault. In task 2, the instruction told me to discuss the both view and give your opinion. I wrote an effective introduction including both views with their reasons and gave my opinion. However,in body Paragraphs I forgot putting what I exactly think, I just wrote ideas with their arguments and examples. I gave my opinion in "conclusion" section. Can These mistakes considerably affect my score? Thank you for your attention in advance. It's impossible to say how or if those things would affect your score. In your task 1 you are implying that you made only one mistake but you could have made others you are not aware of. And you do not lose a band for one mistake like that - the marking criteria is more complex than that and you are graded and assessed on many factors for each criteria. And for your task 2, you are supposed to present ideas, arguments and examples so I am unclear as to what you think you have done wrong. Really it is too difficult to give any kind of score predictions or penalties without seeing your actual writing. Firstly, writing way above the word limit is not an indication of a good score - remember it is quality, not quantity. I can't obviously comment on why you didn't get the score you wanted and you don't say what band you actually got. Some very good writers do still get low scores though. It's possible you misunderstood the question (it does happen) - if that is the case it can bring your score down quite a bit. But as I said I have no idea. Maybe you were given too low a grade by the examiner, in which case you need to decide whether to ask for a remark. First of all, I would like to say that your website is very helpful. Interviews form the basic selecting criteria for most large companies. However, some people think that an interview is not a reliable method of choosing whom to employ and there are other better methods. In intro, I agreed with other methods and in body paragraphs, I quoted two ideas with physical ability test (explained it) and trial method (explained it well). In second body paragraph, I started with Despite other opinion and wrote, interview meets the emergency requirement, explained it well. In conclusion, I gave my opinion that other methods are more useful. I got 5.5 bands. I am unable to understand where I was out lacked, have applied for re-checking. Could you explain to me, is it alright to give two ideas in BP, Can I send you my essays for assessment? It's impossible to say why you got the score you did without seeing your essay. Although you explain what you put in your essay it still won't be clear how well it came across to the examiner. You say you 'explained it well' but we only have your word for that. Maybe you did not explain it was well as you thought. Two ideas in a body paragraph is fine, but I'm not sure what you mean by 'physical ability test' and 'trial method'. But anyway, you also have to remember you are just pointing to one criteria - Task Achievement - in which you are marked on your ideas and their support. You are marked on several other things: coherency and cohesion, lexical resource, and grammatical range and accuracy. Even if you did answer the question ok you could still have lost marks for any of those, thus bringing your score down to 5.5. I don't mark essays at the moment but you can find others online who do. 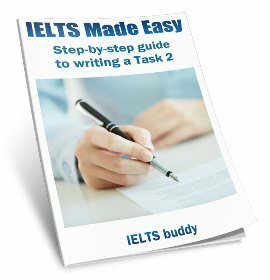 I wrote the recent IELTS general writing, I had a great writing unfortunately it was off topic. The question was on ready foods and I paraphrased it as foods gotten from restaurants and canteens such as Noodles and Pizzas. Other aspect were great. Do you think it will be possible to get a 7 overall band despite having low score in task response? I have taken the ielts exam two times and everytime i got 6.5 in writing. I got 9 in all other skills but 6.5 in writing. I dunno what is with them but now i believe that the examiners do not even try to abide by the marking criteria as we know them, instead they glance at our essays and then give us 6.5 because there is no way someone's oral production can be 9 and his writing 6.5, which is B2. 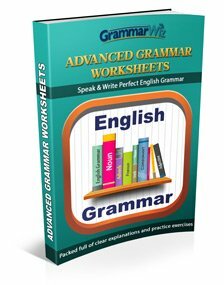 I used lots of different grammars such as res/non-res adj clauses, participle clauses, noun clauses, conditional sentences, subjunctive mood and etc. As for the lexical resources, i dont claim to have used every vocabularies and collocations related to the topic but i did it efficiently. After all what good would it be to have lots of uncommon and rare words in an essay. I am very dissapointed by ielts and i do not want to take it anymore because it is ovbious that they do not even conform to their own marking criteria. Why did I get band 7 in writing but 9 in the other modules? I am extremely confused and was wondering if anybody could help me in where I went wrong. I have an A* in both GCSE and A Level English Language so I thought this test would be a breeze but clearly I was wrong. I found the test less about English proficiency but more about IELTS proficiency. The exam is relatively expensive and so I can't afford to do it a third time. My grammar, punctuation, sentence structure and lexical resource is as good if not better than the average native English speaker yet my band 7 descriptor says 'Good user' and 'inaccuracies and misunderstandings' which has puzzled me. Any ideas of where a native user may be going so far wrong as to be judged as being non native? Comments for Why did I get band 7 in writing but 9 in the other modules? Before taking the exam, did you check exactly what is required for the writing and what you should and should not do? Some test takers who are a high skill level just go into the test because they think they will be ok and then are surprised when they don't get the score they expected. Of course if you are very good at English you will likely get a high score, but there are certain things you could do / not do if you did not know about them that would bring your score down. That is why it is a good idea, whatever level you are, to look through a website such as IELTS buddy and others to check for tips and strategies. For example, it is important to have an overview in the Task 1 Academic Writing. Did you do that? If not that could have brought your score down. There are other things like that and you should have a look through the writing lessons and other pages on this site to check before taking the test again. Also, it is possible that you misunderstood the question for the writing. Again, if you only half answered it for example, that could have brought your score down. That is a common mistake. If you think none of those things above apply to you and you should have got a higher score you can apply for an Enquiry on Results (remark). If you do that they will look at your scores again. The problem is that you have to pay a fee that is around the same price as the test and it only gets refunded if your score increases. I just received my test result for my 7th attempt in ielts. L R 8 and S W 6.5. I always got 6.5 in writing whereas in Speaking it is sometimes 7. Sorry to hear about your problems. As I've said before, it's quite common to get stuck at 6.5 because to get a band 7 for 'grammatical range and accuracy' you need the majority of sentences to be completely error free. It's really difficult for most people to be this accurate. I don't know if you have had a teacher or not but it may be an idea so that you can get your writing checked and establish exactly where you are going wrong. The only way to iron out grammatical errors is to be told where they are and to keep practicing. I have to say I completely understand your frustration. I am British, native speaker, English has been my main spoken language all my life and I was given a 7.5 in writing. Really annoyed me because I get the feeling that it is more about doing what IELTS expects of you rather than if you know English well enough to write a clear, cohesive and accurate piece of writing. Obviously I don't know what you wrote in your essay or the question, or your task 1, and maybe an error was made in the marking. But native speakers sometimes do worse than what would be expected. A common error from students is to misunderstand the question for the essay or not answer all the parts of it. If this occurs it can bring the score down quite a bit. This can occur for anyone, regardless of being native or not (though of course it's more likely for those weaker in English). And in the task 1 there are certain things that need to be done, such as having an overview, and not doing essential things could again reduce the score a lot. A native speaker could easily make such errors, regardless of their writing ability, if they have not done some IELTS preparation first. As I say, maybe this was not the case with you, but it does happen. BY HIS WRITING SCORE THAT IT IS MADE MANDATORY TO SCORE 7 AND ABOVE FOR WRITTEN EXAM. Why am I getting lower scores in my IELTS writing? I got my IELTS results recently. I am so frustrated. Can you give me some advice, please! Comments for Why am I getting lower scores in my IELTS writing? Is that the first time you have taken the test? Have you followed the advice on this website? Your other scores suggest that you should get higher in writing (unless you have a particular weakness with your writing) so you need to work out why that is. Have you looked at exactly what is required in a Task 1 and how best to answer essays questions? For example, not analysing the essay question properly and therefore not answering the question properly could bring your score down quite a bit. Did you practice this before the test? You need to make sure you know exactly what kinds of things the examiners are looking for in order to award you a good score. So I suggest you go through this site carefully (for example looking at the writing lessons and model answers for Task 1 and Task 2). If you have taken the test a few times though and you know what to do but are still getting a 6 then it suggests you maybe have weaknesses with your grammar. I am a medical specialist I did ielts twice , my score fell down rather to improve. My score decreased, I have reached a conclusion that this is a drama to collect money from poor countries like us. i'm going to take test for the second time. I didn't do well during my first attempt because of a bit nervous and i was overwhelmed with to many tips and in finally on the day of exam i was in confusion that what strategy i should use in exam. so, i doing practice to overcome the mistakes i have done in the past. I also booked the slot for my second time. Now, the most common thing i have been hearing for a while is that the score does not improve for many those who do exam for second time is that TRUE? I previously got overall score of 5.5 and now i'm trying for 7.5-8.can i get the score that i was wishing is that possible to get. Did anyone face same situation? please, give me your suggestion. I'm sure some people increase their scores the next time they take the test but I doubt anybody knows how many. But jumping from 5.5 to 7.5 / 8 is unlikely in such a short space of time, assuming you last took the test recently. There is big difference in the English skills of someone who is 5.5 and someone who is 7.5 so to improve that much would take a lot of study. If your English level is very good, but the band score was a result of nerves and not being properly prepared for the test then maybe you could make that jump. However, if you got 5.5 because your English ability is quite weak, you are not going to be able to suddenly improve in a short space of time to become very good at English. Yes there are tips and strategies to increase your score but remember ultimately it is a test of your English, and if you are not at a band 7.5 / 8 level then you are not likely to get that score. more than 6 months. These six months i tried to improve my English language skills and keep on practicing for the exam. So, i'm asking can i see the change in my score? I can only talk hypothetically because I have no idea about your skills or whether you have improved. So yes, in theory, somebody of course should improve after studying more IELTS / English for 6 months further, assuming they were studying quite hard and doing the right kind of study as that is quite a lot of time. But it's impossible to say by how much because everybody is going to be different. And as I say I don't know about you personally so I can't say if you will improve or not. But if you haven't improved say half a band at least you need to look carefully at how you are studying and think about what you need to do differently. I got my second IELTS score and it stable at 6.5. I got 8.0 for reading 7.5 for speaking but only 5.0 for writing. Some of my friends suggested me to read a lot of english written academic text however i think this technique are not really works for me. It only help to improve my reading score, not for writing. My target score is 7.0 with at least 6.0 for each band. Do you have any suggestion for improving my score? Have you got 5 both times? You should look through the writing lessons on this site for task 1 and 2 and make sure you are not doing something that is bringing your score down. i got 5.5 at first attempt, and 5 for the second one. I checked writing lesson at this web and i don't think i did something wrong for both test. Actually, i studied a lot for writing skill before took second test. I expected some improvement at least .5 point. However, instead i got .5 lower than the first one. Is it possible to expect 6 by only studying by myself, without help from native speaker or other professionals? It's not possible to tell you whether you personally can get up to a band 6 by studying by yourself. I guess some people have but some struggle. Improving your organisation, ability to answer the question etc can be done online but improving your grammar is difficult to do by yourself as you really need someone to advise you of where you are going wrong. If you have got 5.5 before then it's possible you can get up to 6 by yourself but I haven't seen your writing so I don't know where you are going wrong. It can take a long time to go up by even half a band. Why did my IELTS writing score go down the second time? why did I score writing less than before? Hi, I got my ielts result recently on Jan 2016 and I got only 5.5 in writing. It was lower than the last time I took the ielts in december 2015 and I got 6 in writing? Why did I score writing less than before? Should I ask for a remark? Anyway, I got 6 in overall. Is it an acceptable score for applying to Australian and USA universities? (for Bachelor degree). Well, actually I'm a bit disappointed because I did not score high in ielts. There people told me that if I need to apply to study abroad at least I should score 6.5 to be qualified. So, isn't 6 not good enough? Comments for Why did my IELTS writing score go down the second time? It's quite possible to get a lower score in any part of the IELTS. You will have got a lower score because your essay the second time was not as good as your essay the first time. There could be many reasons for this but nobody can know why without seeing your essays. Nobody can really say whether a remark will get you a higher score. It is possible, but as I said it may be that your essay was not as good the second time. Regarding the score needed to go to Australia, you should check the requirements of the universities you wish to apply to. I'm not aware if there is a minimum of 6.5 for all Australian universities. it is depends on how did you write the second time, sometimes the subject to write or the graph was more complicated or in other words more difficult, so it's like any other exam, so don't expect to get higher score every time you have the test, it is not like when you go to the gym you lose weight or you gain muscle every time. I followed this site during both the IELTS attempts. Firstly I got 6.5 and in the hope of getting 7 I took test again and got 6 this time. Although the tasks were easy and i rechecked my work. I am so sad. What to do??? The speaking and listening for Academic and General Training are exactly the same. That appears to be reflected in your scores as they are quite similar for each test. But the reading is different and easier for general training, so that could easily account for a band difference. Also, I would say the writing for General Training is easier too. For most people it's easier to write a letter (Task 1 GT) than than some type of graph or diagram (Task 1 Ac). The essay questions are also not the same on the day of the test for GT and Ac. The essays could be the same difficulty but sometimes the GT ones do seem to be questions that are easier to understand than the academic ones. Obviously I don't know what happened in your test and it could be different reasons for your change in scores, but the general training I would say overall is a bit easier so that could account for it. Took ACADEMIC IELTS twice and got these scores L-9, R-8.5, S-8, W-6. I need 7 in all bands. It's possible the assessor misjudged you but it's also quite possible that the ones you sent your assessor were a band 7 but then maybe for some reason you did less well in the test. Were all the ones you sent the assessor done under exam conditions? i.e. 40 minutes. If you gave yourself more time when you practiced then you may well have done better. This is what ielts have made me...second attempt with all efforts, workhard, practice decreased my marks to lowest which I hadn't expected while without any much hard work preparation I had secured a good score. I'm not sure if I should ask for a re-mark because it was my first time taking IELTS test, but I really tried hard to improve my writing during the recent months. I have also published a paper in English with no certain errors. I'm almost sure about my grammar and I checked the minimum words required for both tasks (I actually counted them on exam day! :D). What is the possibility that an examiner misjudged someone? or it is more possible that I have simply had errors in paragraphing, punctuation, addressing the question, etc. Unfortunately it would just be guesswork in deciding why you got that score. It could be error, but as you say it's possible you made errors with your essay in terms of grammar, answering the question properly, or paragraphing for example. It's impossible to know without seeing your essay. The reason to get a remark would be if you are very confident that you did write the essay well and so you think an error has been made. If you are then go for it. Otherwise it's just a complete gamble. With my little yet useful experience, I can tell you that to accentuate your writing skills you mustn't only be resourceful with the range of words, idioms and phrases but also be very informative. I, personally, believe that reading newspaper helped me a lot and trust me our excessive dependency on writing at MS word with a luxury of auto spelling check aggravates our natural intent and tendency to consider the fundamentals of writing. Writing, to many of us, is an uphill herculean task but if you know how to revolve the content at your strength and have the proper strategy then, faring well isn't impossible. Remember, the great wall of China wasn't built overnight so have patience before expecting miracles. I got A* in my IGCSE English exam, as for my IELTS exam i got 8.5 in listening 8.5 in reading 7.5 in speaking and 6 in writing. It is very weird because I have good command over the language and many teachers (who checked my essays) said that I should get a 7, worst case would be 6.5. However I got 5.5 in my first attempt then 6 in writing. Teachers are very very shocked and can't explain why I got such a low score despite i have a wide range of vocab and I answered the question fully on exam day (I told the teacher the Q and my answers and they said that the ideas were straight to the point and accurate). I'm starting to believe I've been penalized for something but i don't know what it might be as I wrote much higher than the word limit. My teachers as well as I are really confused and don't know why this is happening. I'm a bit unsure from your post whether you took the exam once and got 6 in writing or twice and got 5.5 then 6. But anyway, have you studied online or with teachers on what you need to do in IELTS writing? There are certain things you could do that you may not realise that could bring down your score. I can't explain everything here but check out the writing lessons on this website - there are links to lessons for Task 1 and Task 2. They will give you tips and things you should or should not do. Also there may be no advantage to writing a lot of words over the 250 as you are marked on quality not quantity. It could affect your score if you are writing as much as you can but neglecting your planning stage. Also it's very difficult for anyone like your teachers to say if you did well by you just telling them what you wrote about - they would have to see your essay. So check out some writing lessons before you take the test again. I've taken IELTS academic 3 times. After 1st time my scores improved drastically - reading from 7.5 to 8.5, listening from 8.5 to 9, speaking from 6.5 to 7. But writing... The band score lowered from 6.5 to 6.0. This drives me even more crazy, because I took the test for the third time and got 6.0 for writing after lessons with the best ielts teacher in my city. What is more is that my speaking score became 7.5, which is amazing. I don't understand what is going on. And, be the way, I asked to remark my writing after I've received my 2nd score. And you know what? It didn't work. It may be worth trying another teacher even if the one you have does have a good reputation. You never know. Recently I have taken the test for immigration purposes and have received the following scores: Reading 9, Listening 8.5, Speaking 7.5, Writing 6.5. As an Auditor at a Big organisation I have been writing business mails, letters, consultations and other documentation for 4 years. I have also worked as a translator for 5 year, which makes it hard for me to understand the reason why I would get such a low score. Below I'm attaching a sample writing for your kind consideration and will be grateful if you could advise me whether I should apply for re-mark. Thank you in advance! There is a common belief, that parents transfer general skills and knowledge to children in a much better way and more efficiently, than educational institutions do. I share this point of view, too, and will explain my vision further. There are actually many reasons why moms and dads are the best educators, but I will present only a few in the current essay. First of all, parents and grandparents are the first “instance” of interaction with the surrounding world for children, which makes it easier for kids to absorb information received from them. In other words, at an early age a person’s comfort zone is limited to his/her family. Secondly, it is parents, who know their heir better, than anyone else and, therefore, it is them, who are able to provide with all the necessary information, as well as to help the child to form an understanding of what is good and what is bad. The latter statement is also connected to another argument, which is the fact, that only parents have the right to choose or decide on the system of values their children will form. However, it is essential to maintain balance over the circle of interaction and communication of younger generation. In my opinion, it is unacceptable to narrow the network of schoolchildren to their relatives only. A person should interact with people of difference ages, faith, opinions in order to become an individual and a complete member of the society. At the same time, it is important to take into account the fact, that one’s mother or father cannot specialize on all studies and fields, which makes the role of teachers irreplaceable and extremely valuable. To conclude, I would like to emphasize the importance of both children’s right to interact with their parents, and their right to communicate with the outer world. After all, educational system has been developing for centuries, and there is a reason for schools to exist and to be so popular up to these days." I can see from what you wrote that your grammar is quite good and better than a 6.5. However, please look at some of the other comments on this page. You are not just marked on the grammar etc but also on the way you answered the question. It is possible that you misunderstood the question in some way, for task 1 and / or 2 and that this brought your score down for the Task Response / Achievement criteria. Obviously we can't see your actual test script so it's impossible to know. But otherwise yes it's possible an error was made and if you really feel it was and you are very confident you did not make an error with the question then you may choose to go for a remark. Could you please share your opinion on the essay below? I've registered for my 2nd attempt in 10 days and need to get at least 7 on writing. On my 1st attempt I got: R 9, L 8.5, S 7.5, W 6.5. Thanks in advance! It is argued that zoological gardens are useless. I agree to the statement, as the concept of zoos does not target any valuable or important mission. This essay will firstly discuss the negative impact of zoological parks on the lifecycle of animals and secondly, will bring up and defend the idea, that zoos can do psychological harm to children. It has been proven that human intervention into the lifestyle of different species might cause problems throughout their lifecycle. From this perspective, I believe that humans have no right to interfere into animals’ ordinary course of living. Moreover, people must not affect animals’ lives in any negative way. As a solution, nowadays many countries have started replacing common zoos with national parks and preserved areas, at the same time ensuring minimum intervention into species’ day-to-day activities. From the other hand, it can be extremely harmful for children to see wildlife representatives in cages and stressed. This kind of sceneries might cause serious mental problems for those at an early age. Besides that, bad treatment of fauna by grown-ups is not the best example for any kid to follow. I would suggest that this kind of interaction with animals is substituted with watching documentaries, visiting natural reserves or taking care of their own pets. To conclude, I would like to emphasize the absence of good intentions behind the idea of zoos and to restate that those can be harmful both for animals and for the younger generation. I can't give detailed feedback on essays submitted, but some issues stand out with your essay. "It has been proven that human intervention into the lifestyle of different species might cause problems throughout their lifecycle. From this perspective, I believe that humans have no right to interfere into animals’ ordinary course of living". This new idea says nothing: "Moreover, people must not affect animals’ lives in any negative way." It's not explained. And this is a solution (solutions are not asked for): "As a solution, nowadays many countries have started replacing common zoos with national parks and preserved areas, at the same time ensuring minimum intervention into species’ day-to-day activities." You then say "From the other hand" but this makes no sense as you are not introducing contrasting ideas, you are making more ideas to support why zoos are detrimental. You then offer solutions again: "I would suggest that this kind of interaction with animals is substituted with watching documentaries, visiting natural reserves or taking care of their own pets." So you have issues with answering the question and coherence and cohesion. today i got my result. this was my 4th attempt. i am realy frustrated now. every time i get less 0.5 band in writing.